CYANIDE has suddenly become a buzzword in the past few days as the chemical pollution in Pasir Gudang dominated the news. Cyanide poisoning is not a laughing matter and that is why the images and videos of schoolchildren being treated for inhalation of fumes containing cyanide in Pasir Gudang induced terror among Malaysians. A quick look on Google showed a 100 per cent jump for “cyanide” in Johor on March 12 as people tried to comprehend the situation. Friends and relatives in Pasir Gudang contacted me, hoping that I could somehow give an explanation that was less dreadful, some even hoped that I would dismiss all of it as a hoax. Unfortunately, the news was not a hoax, unlike the story of men in a white van allegedly abducting children to harvest their internal organs. The fact is, cyanide-containing compounds are everywhere, used in the manufacture of everyday things, from tyres to plastics, even cosmetics. They occur naturally too, in apple seeds, in the leaves of roses and rubber trees to deter pests, even in tapioca. Yes, the humble ubi kayu contains a considerable amount of cyanide but the harmful substance would mostly be destroyed during cooking. Ever wonder why the water used to boil tapioca is always strained away? Cases of cyanide poisoning due to ingestion of cyanide-containing cosmetics are numerous. Just type “cyanide in cosmetics” and a long list of cases will come up on your browser. Among the noteworthy cases are the ones mentioned in an article in a journal by the Division of Emergency Medicine, University of Utah, Salt Lake City in 1988. A 16-month old boy was found dead in bed after ingesting nail polish remover containing acetonitrile, a precursor of cyanide. A second boy, two years of age, was fortunately saved with timely medical intervention. Cyanide, a respiratory poison, kills. No, those cases are not related to what is happening in Pasir Gudang, but they could provide a perspective of just how grave the situation is and how it could cost lives if we do not take the necessary action to remove the threat and prevent any recurrence. Social media is full of demands for stern punishment to be meted out to those responsible for dumping the deadly chemicals. Yes, it is a must that they be punished, but their irresponsible act is merely a symptom of a weak and inadequate control-and-management system for hazardous substances. Years ago, a colleague went into hiding days before a scheduled audit by the Department of Environment (DOE) at the factory we were working in. The reason? He had sold off a few hundred kilogrammes of solder waste under his care, and he knew that the missing hazardous waste would be discovered during the audit. Now, the amount he sold off to a scrap metal dealer was nothing compared with the tonnes of far more hazardous chemicals scooped out of Sungai Kim Kim so far. And the clean-up is just beginning. 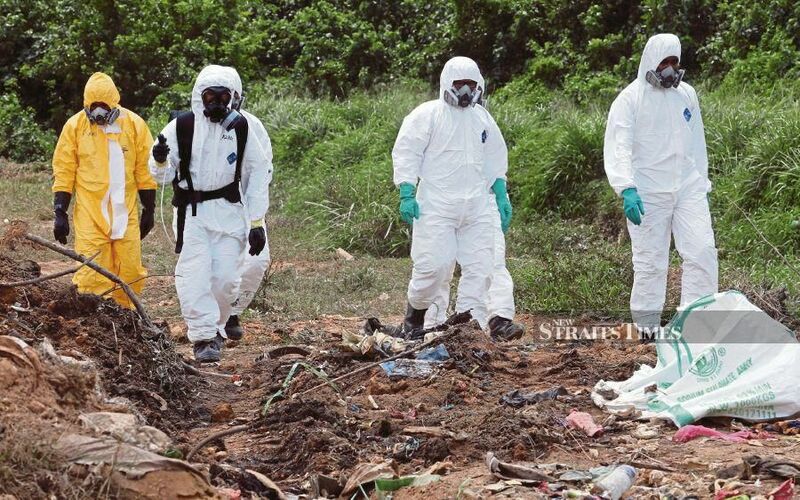 How could anyone dump tonnes of deadly chemicals into Sungai Kim Kim without worrying about the missing substances showing up during audits by the relevant government agencies? Any attempt to tamper with the hazardous waste figures should have been easily thwarted by a simple reverse calculation. Let’s say the production of 10 tonnes of finished goods creates a tonne of waste; it will be illogical to show just half a tonne of waste if 100 tonnes of finished goods leaves the factory. Banning all toxic substances is not the answer because they are everywhere and widely used by industries. Benzene is highly toxic and carcinogenic but banning it altogether would deprive us of the petrol that run our cars. So the next best measure was adopted, limiting its content in petrol to under one per cent. Instead of very strict laws that are impractical and impossible to implement, a long-term solution is to have a more ‘inclusive’ way to control and manage the handling and disposal of toxic wastes. We have seen the police, Fire and Rescue Department and even the military working together to clean up the mess in Sungai Kim Kim. Similar cooperation between government agencies is necessary if we want an airtight system to prevent it from happening again. Scrapyards and karung guni businesses that are usually monitored by the police should also be closely scrutinised by the DOE. A stack of drums obtained legally by a scrapyard would not be an issue with the police, but it could justify the place being shut down if DOE checks found traces of dangerous chemicals in them. Similarly, the Fire and Rescue Department can immediately identify the potential fire hazard if drums with leftover bleach and brake fluid were stored next to one another. It will take time and tremendous effort to overhaul the whole system of hazardous waste disposal but the results could be literally life-saving. Cosmetic changes may be quicker and simpler to implement but they could prove to be deadly in the long run, just like the cyanide-containing cosmetic products I mentioned earlier. The residents of Pasir Gudang are desperate for a life-saving solution, not for cosmetic changes to hide the polluted ugly spots in their front yard.